Below is the latest on the Zortman fire as of 9:30pm on the 4th of July via InciWeb. We will keep you updated as we get info, and please feel free to share your info and photos on our Facebook page. The July Fire is estimated at 1,669 acres. 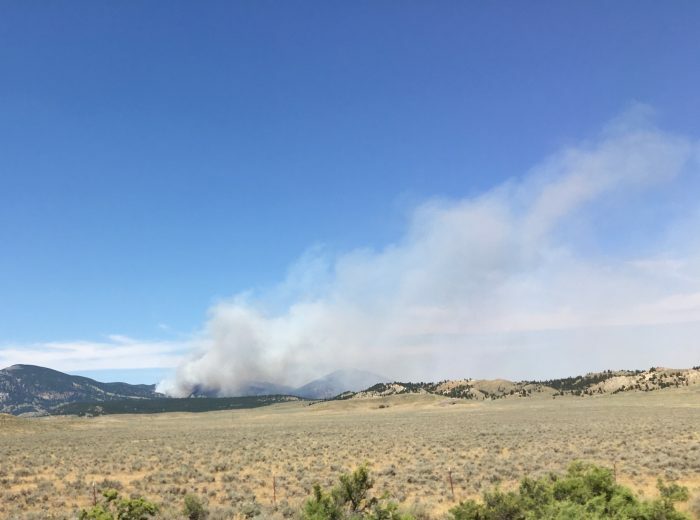 While winds and terrain mainly carried the fire away from Zortman on Tuesday, July 4th, it did creep slowly to within a quarter-mile of town. No mandatory evacuations have been ordered at this time. However, law enforcement officers from the Phillips County Sheriff’s Office and BLM are in the vicinity to assist with evacuations, if they become necessary. About 136 wildland firefighers are assigned to the fire. The fire is burning in mixed timber, mainly on BLM-managed lands. There is no containment at this early phase of extended attack. Connell’s Western Montana Type 2 Incident Management Team has been ordered in to manage the fire. The National Weather Service has issued a Red Flag Warning for the area for Wednesday afternoon and evening due to forecast hot temperatures, low humidity, and gusty winds.